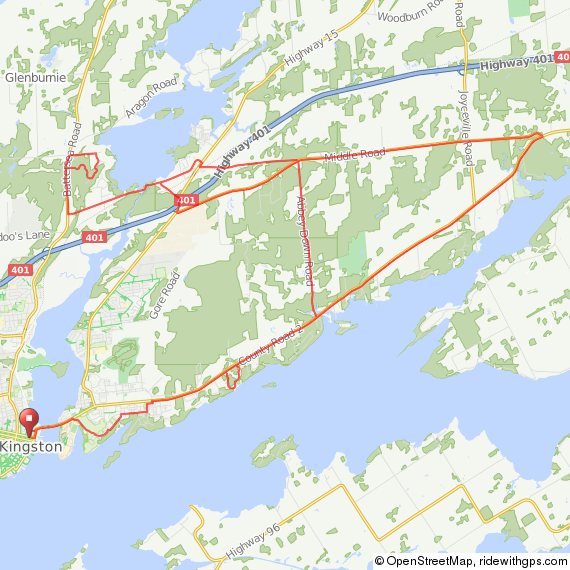 This 60km loop is something I dreamed up when preparing for Ironman Lake Placid. This can be done as a single loop or in multiples. This doesn't have any long sustained climbs in it but hits most of the major climbs in the east in of town. It also provides for easy refuelling if you leave some supplies in your car at the information both at the bottom of Fort Henry Hill. I challenge you to try the triple with this one if you are getting ready for Ironman Lake Placid.